Home Local News BREAKING: Philippine Daily Inquirer Nagpapakalat na Naman ng Maling Balita sa Social Media.! BREAKING: Philippine Daily Inquirer Nagpapakalat na Naman ng Maling Balita sa Social Media.! After the peaceful massive rally against Leni Robredo last April 2, Sunday at Luneta Park Manila, Yellow Fanatics also conducted a rally and they call it "massive", "hundred thousands" despite in reality they can only be count by fingers. 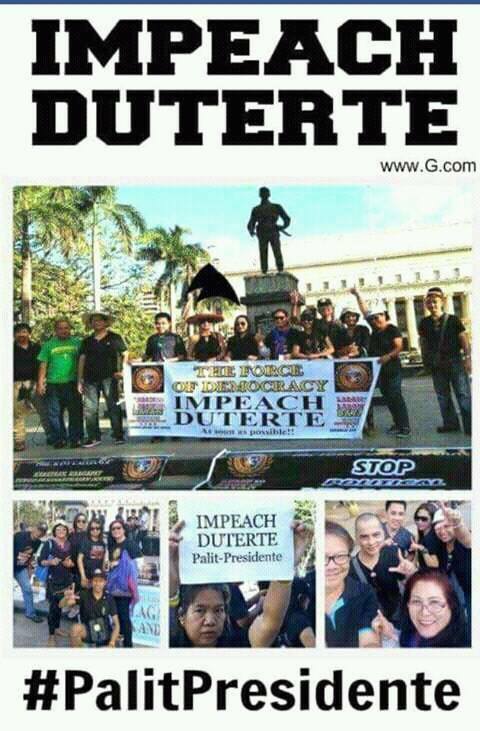 This is how the Yellows desperately want to change the picture of REALITY backed up with mainstream media to make it appear real. 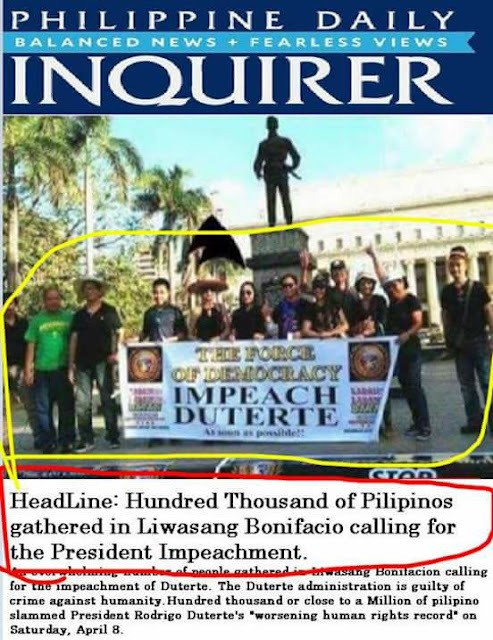 Here some picture of their rally and an article full of lies by the mainstream media Philippine Daily Inquirer. 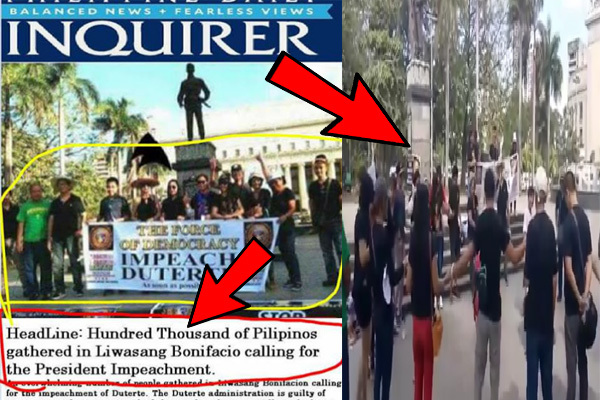 Sponsor The video of DDS rally against Leni Robredo was documented with photos and aerial shot video by CinEmotion and you can see the real situation by merely looking at it, it was unpublished and disregard by the mainstream media while the Yellow Camp can only be counted by fingers but backed-up loudly by the mainstream media. You be the Judge Kababayans, Let us spread the TRUTH and fight all the LIES spoon-fed by the mainstream. Let us share this news so that most of us would be aware of the real manipulation of the Oligarchs.